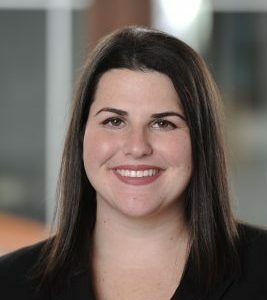 Jennifer Goldstein is an attorney in Whitfield, Bryson & Mason LLP’s Washington, D.C. Office. Jennifer represents plaintiffs in national employment, consumer protection, and privacy class action lawsuits. Jennifer attended The George Washington University where she received a Bachelor of Arts in Women’s Studies and where she later received a Master of Professional Studies in Legislative Affairs. Jennifer attended Georgetown University Law Center where she obtained her Juris Doctor. Jennifer began her work at Whitfield, Bryson & Mason LLP when she was still in law school where she worked as a summer associate and law clerk. She also worked as a legal extern to the Honorable Ketanji Brown Jackson of the U.S. District Court for the District of Columbia and clerked for the L.A. Gay & Lesbian Center. Additionally, Jennifer edited and published an article in the Georgetown Journal of Gender and the Law and won the 2014 UCLA School of Law Williams Institute Moot Court Competition on behalf of the Georgetown University Law Center Barrister’s Counsel. Prior to joining the firm as an associate, Jennifer served as a Special Assistant to the Office of the Attorney General for the District of Columbia, where she defended the District and District agencies against employment, personal and intention tort, Section 1983, and constitutional law claims. Jennifer’s pro bono work has included: briefing and arguing a federal inmate’s appeal before the U.S. Court of Appeals for the District of Columbia; drafting name and gender change requests for transgender individuals in need; and submitting U-Visa applications and civil protection orders for indigent survivors of violence. Freedom of Expressive Association and Discrimination on the Basis of Sexual Orientation, 16 Geo. J. Gender & L. 163 (2015).